The DNSODM200_MICTOR is a SODIMM module that can be installed in a 200-pin DDR2 SODIMM socket. This module contains two Mictor connectors and three, 12-pin IDC-type headers. Logic analyzers from Tektronix and Agilent can be directly connected to FPGA pins enabling direct high-speed observation. Three, IDC-type 12-pin headers allow for external cabling to peripherals, oscilloscopes, or function generators. Two of these headers are routed as LVDS differential with 5 pairs. The third header has 5 single-ended, +1.8V TTL signals. Eight LEDs add additional visual feedback. 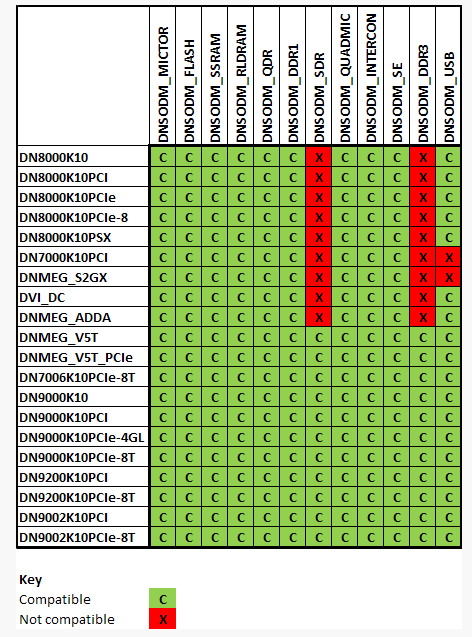 The DNSODM200_MICTOR is compatible with all Dini Group products equipped with DDR2-SODIMM sockets.